There are only a few weeks to go to the Chinese New Year and the Chinese newspapers are full of articles on people’s plans for the festive period and on the country’s transportation infrastructure bracing itself for the onslaught of Chinese who will be travelling home or – more frequently now as they get richer and move into the middle classes – travelling abroad for package tour holidays. As I read, I was reminded of a wonderful piece in the New Yorker written by the magazine’s Man in Beijing, Evan Osnos. 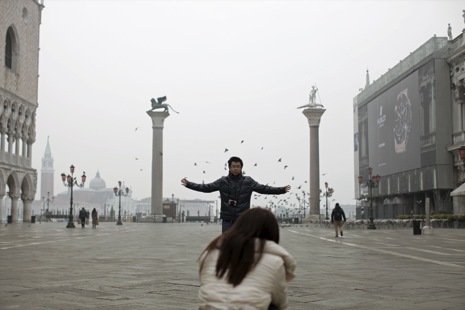 Two Chinese New Years ago, Osnos decided to join one of these package tours, the “Classic European,” a bus tour visiting five countries in ten days. It’s a sympathetically amusing article and I would urge any of my readers with an interest in social trends in China to read it. It can be accessed at http://www.newyorker.com/reporting/2011/04/18/110418fa_fact_osnos. Here is a photo from the article. Osnos’s piece reminded me rather of a 1969 film, If It’s Tuesday, This Must Be Belgium, a romantic comedy about a group of American tourists doing a bus tour of nine European countries in 18 days. 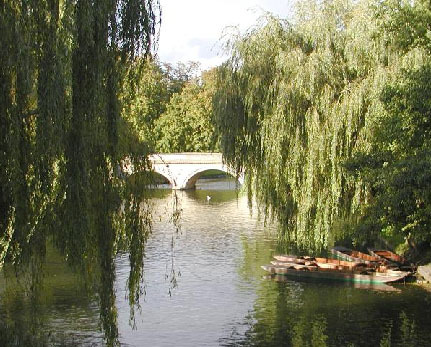 Osnos mentions in passing a sub-trend in Chinese tourism, that of Chinese lovers of poetry who go on a pilgrimage to Cambridge (the Cambridge in the UK) to gaze reverently at a clump of willow trees growing on the banks of the River Cam. The reason for all this is a poem which is wildly popular in China: 再别康桥 “Saying Goodbye to Cambridge Again”. 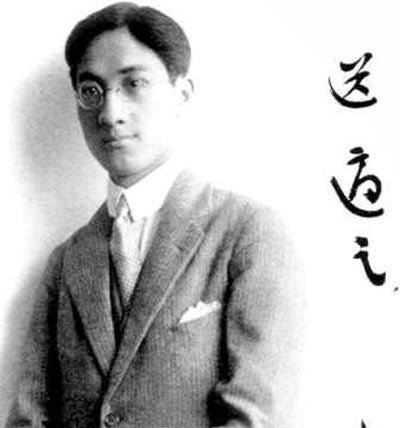 It was written by Xu Zhimo, a famous romantic poet of the early twentieth-century. Xu travelled in the West for a number of years. He spent a year in Cambridge in 1921 and on a second trip there in 1928 wrote the poem. He died a few years later in a plane crash in China. I don’t read (or speak) Chinese, so I’m afraid the poem in its original form is closed to me. However, there is what seems to be a standard translation (every Chinese website that I looked at carried the same one) which is really quite pleasant on the ear. But before I quote it here, I am moved to first cite the poem in its pinyin form (without tonal marks, which I find confusing and quite unhelpful since I don’t hear the language’s tones), to give other Chinese-illiterate readers like myself a small taste of its rhythm and rhyme. wo qinqing de zhaoshou, zuobie xi tian de yuncai. boguang li de yan ying, zai wo de xintou dangyang. zai Kang he rou bo li, wo ganxin zuo yi tiao shuicao! shi tianshang hong rousi zai fu zao jian, chendianzhe caihong shide meng. manzai yi chuan xing hui, zai xing hui banlan li fangge. xiachong ye wei wo chenmo, chenmo shi jinwan de Kangqiao. wo hui yi hui yixiu, bu daizou yi pian yuncai. 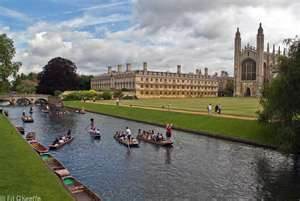 I can’t resist adding a few pictures here of the river Cam. 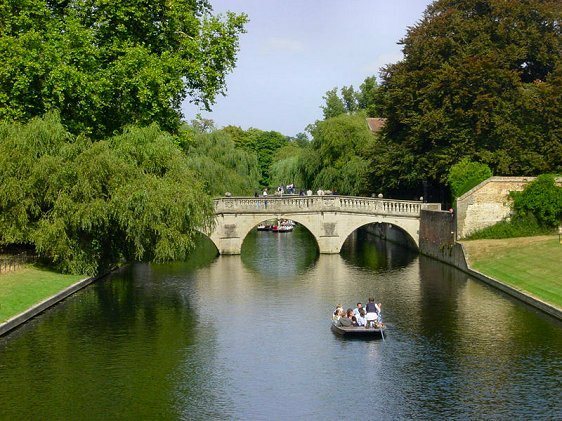 It is a river that flows quietly through Cambridge, as quietly as the poem itself flows across the page. I came across the text of the poem for the first time through an English Lit class I held with a Chinese student (class is a big word; it was more a pleasant discussion around English literature every Saturday morning, over a cup of hot sweet soya milk). After we had gone through a few English poems he brought me this translation of “Saying Goodbye to Cambridge Again”. I was touched and wanted to give him in return an English poem with a river as its theme. But what? I went on a search and came across the poem “The River” by Sara Teasdale. 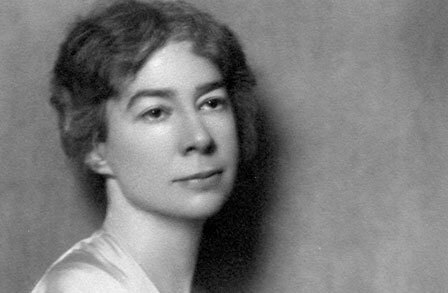 Teasdale, an American poet, was more or less a contemporary of Xu. She died in 1933. I had never heard of Teasdale, and a look at her other poems did not impress me, but this poem, at this time in my life, spoke to me. Who doesn’t reach my age and sometimes wish he could slough off the pessimism which comes with the passing years and be young again, fresh and optimistic?